MediaTek at the MWC 2018 unveiled Helio P60, the company’s latest processor for mid-range smartphones. The company says that it is the first SoC platform with a multi-core AI processing unit (mobile APU) and MediaTek’s NeuroPilot AI technology. It promises 70% CPU performance boost over the Helio P23 and Helio P30, in addition to a 70% GPU performance enhancement. It is based on 12nm TSMC’s FinFET technology. It features four ARM Cortex A73 2 GHz CPUs and four ARM Cortex A53 2 GHz CPUs in an Octa-Core big.LITTLE configuration. It says that the P60 is up to 12% more efficient overall and up to 25% more power efficient in highly demanding games compared to P23. It has MediaTek’s CorePilot 4.0 technology, with thermal management, user experience monitoring and Energy Aware Scheduling (EAS). The NeuroPilot AI technology works seamlessly across CPU, GPU and Mobile APU within the SoC to maximize performance and energy efficiency. The MediaTek’s NeuroPilot SDK in P60 is compatible with Google Android Neural Networks API (Android NNAPI), and also supports common AI frameworks, including TensorFlow, TF Lite, Caffe, and Caffe2. The company is working on bringing ONNX support to the chipset in Q2 2018 to provide developers with even more flexibility for designing AI-powered applications. It has three image signal processors (ISPs) that increase power efficiency by using 18% less power for dual-cameras set-ups. This will offer AI-infused experiences in apps with real-time beautification, novel, real-time overlays, AR/MR acceleration, enhancements to photography, real-time video previews and more. It packs a 4G LTE WorldMode modem, dual 4G VoLTE and TAS 2.0 smart antenna technology. 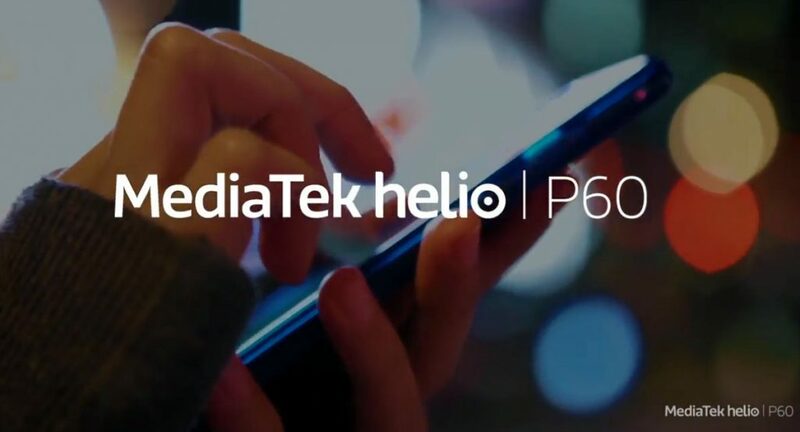 Smartphones powered by the MediaTek Helio P60 chipset will be available globally starting in early Q2 2018.